This past weekend 11 members of the Troop 95 Eagle Scout Alumni Camp group completed the finish painting of Cabins C and D at our beloved SGF Camp. 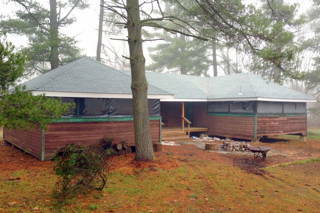 We are getting very close to the overall completion and refurbishment of these cabins. They are heated, have hot and cold running water, a new electrical system, new roof and gutters, beds for 12 campers, a functional kitchen, and working flush toilets. On June 9th, 2010, the Montgomery County Open Spaces Board approved the designation of the major portion of our hallowed campgrounds as a permanent open space. Indian Ridge and other areas, except for Cassett Hill, will remain as a natural preserve. Many people participated in the 10-year long process to achieve this great goal. 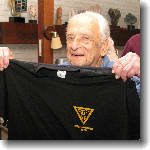 Special thanks to Uncle Herman Tannenbaum who spearheaded SGFVC participation. 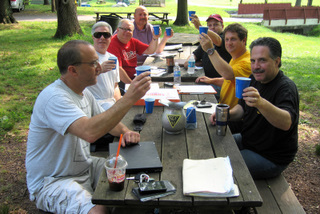 SGFVC Board members toast the approval with cups of bug juice poured from an authentic SGF Mess Hall pitcher. Update: June 3rd, 2012. 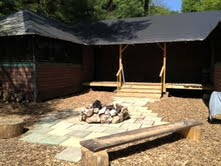 Cabins C and D have been refurbished. Note from Uncle Herman Tannenbaum: "I wanted to share with any and all of you that have cared enough to support this cause and effort. I can only say one thing….THANK YOU!!" Click here to see Montgomery County Lands Trust announcement about the Moran Project closure. New Roof on Comanche/Delaware cabin. 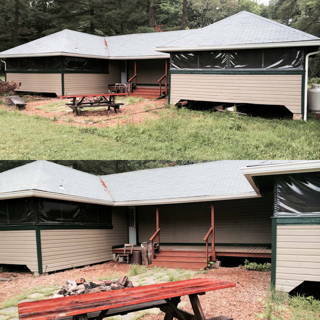 On December 1, 2012, through the generosity of SGF alumni Chuck Goss and Cooper Roofing, a beautiful new roof was installed onto the Comanche/Delaware cabin. SGF also acknowledges our good friend Bill Moran for his help, equipment and most of all his friendship and support of this cabin project. We are proud and thrilled to announce that the Old Original Swimming Pool, most recently referred to as The Pond has been refurbished, refilled, and restored. The pond was drained out, dredged, repaired, and rebuilt this past summer. We will shortly rebuild the boardwalk and original diving board to it's original condition. 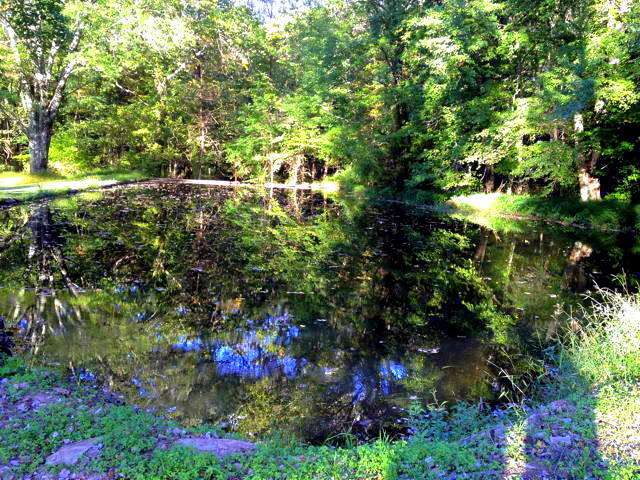 The water from the creek is running crystal clear, and even a few small fish and frogs now inhabit the Pond. This pool was hand built by Pop Friedman with the help of Troop 95ers and SGF Staffmen back in the early 1920's. After the current SGF pool was constructed in the mid 1950's, The Pond became a pleasant fishing hole and a place for the Indian Ridge boys to go boating. We wish to thank Bill Moran, with the help of Kenny Souder for their hard work, construction machinery and love of our SGF lands.Without them our "Pond" would simply be big hole in the ground.With a little luck, and some more time, we hope to restore Lake Lou in the future. Valentine "Val" Udell, 93, Jan. 20, 2010 of Perkiomenville, PA, a teacher, graphic arts expert, lifelong naturalist, and beloved director of camps SGF and Maribel. Pre-deceased by his twin brother, Gene Udell, his sister Naomi Burr, and his brother Irwin Udell. Brother-in-law of Anita Udell. Uncle of Linda Bosniak, Richard Burr, Jon Udell, and Ruth Kunstadter. Great-uncle of Marc and Sam Speiser, and many other great and great-great nieces and nephews. 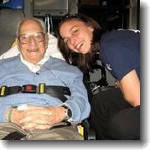 A gathering of friends and family will be held at Fellowship Farm, in Pottstown, PA, on Fri., Feb. 20, 2010, at 11:30 A.M.
Eugene Udell, 92, Nov. 12, 2008 of Rydal, PA. Husband of Anita (nee Magistro), father of Jon (Luann) Udell and Ruth Kunstadter, twin brother of Val Udell and the late Irwin Udell and Naomi Burr, grandfather of Robin, Natalie, Douglas, Henry and William. Int. was private. The family respectfully request that contributions in his memory be made to the Eugene Udell Scholarship, c/o Linda Lowe, Temple University Ambler, 580 Meetinghouse Rd., Ambler, PA 19002.